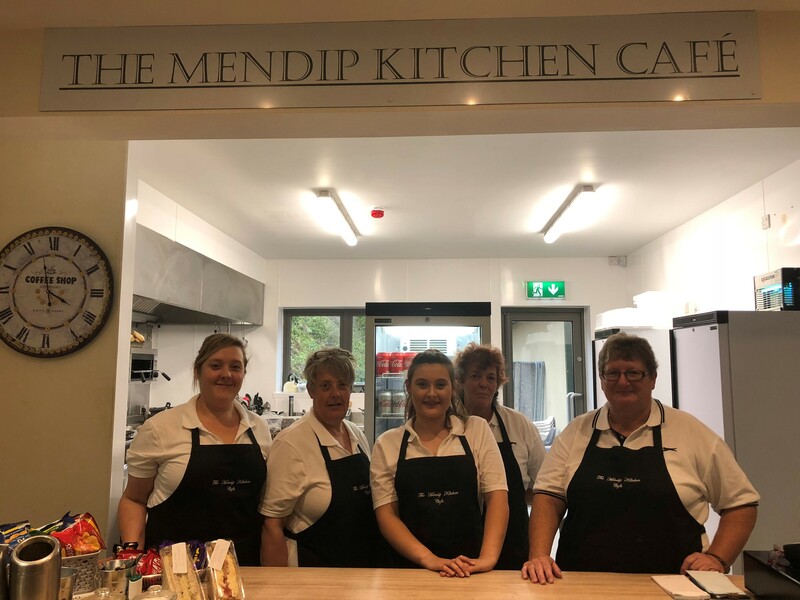 The Mendip Kitchen Café serves teas, coffee's (from Filter to Cappuccino), cold drinks, a variety of sweets and crisps, snacks and wholesome main meals prepared on site using local products. The The Mendip Kitchen Café staff await your orders. Please note these menus are sample menus and items and prices are subject to change without notice. 2 Eggs, 2 Bacon, 2 Sausages, 2 Hash browns, Beans, Mushrooms, Tomatoes, a round of toast. Egg, Bacon, Sausage, Hash Brown, Beans, Mushrooms, Tomato, Round of Toast. 2 Eggs, 2 Hash browns,Mushrooms, Beans, Tomato, Round of Toast. All served with a Salad garnish and Homemade Coleslaw and crisps. All served with a Salad garnish, Homemade coleslaw and crisps. 2 Burgers, Bacon, Cheese, Egg & Onion ring. Served with a Salad garnish, Homemade Coleslaw and Chips. 1 Burger, 1 Chicken Burger, Bacon, Cheese, Mushroom, Onion ring.